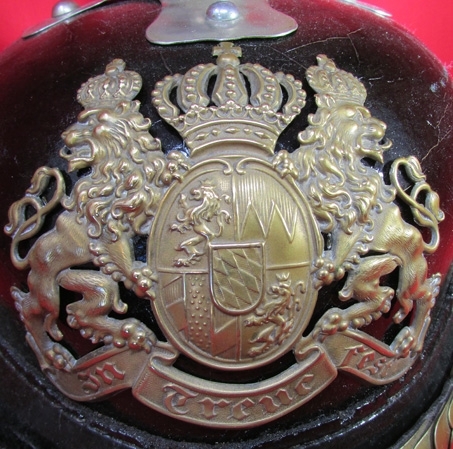 Item #48607 : Original era manufacture. 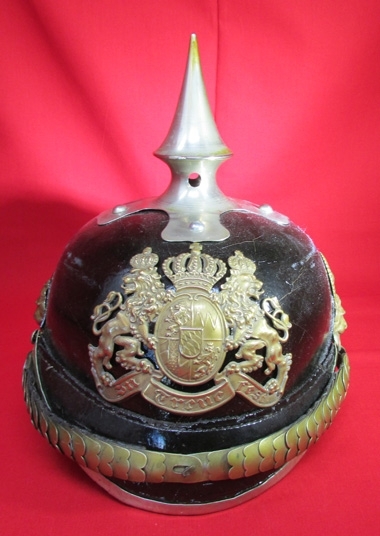 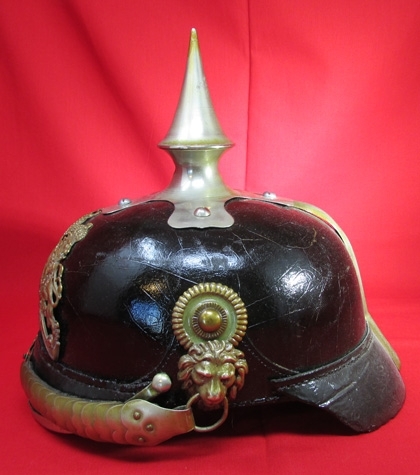 Large leather bodied helmet, with a nickel silver spike on a matching cruciform base. 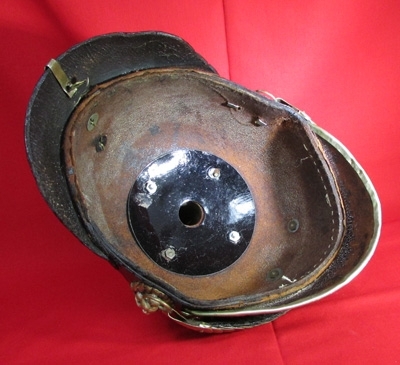 No liner, and the right side of the rear visor needs to be resewn. 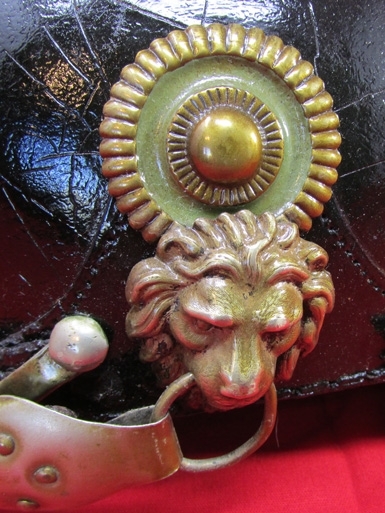 Nickel silver chinstrap, with lion headed bosses, matching trim on the front visor. 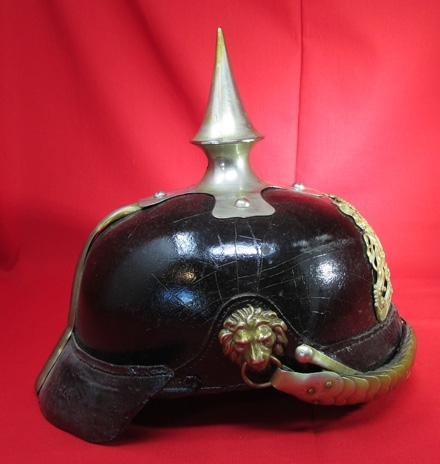 Bavarian pattern wappen which appears to be brass; however the entire helmet sports a varnished surface, which gives the wappen a goldish hue.Good for parts or restoration.